When you wake up at 3 AM and you can't fall back to sleep right away, why not take advantage of the moon overhead and take a few shots? 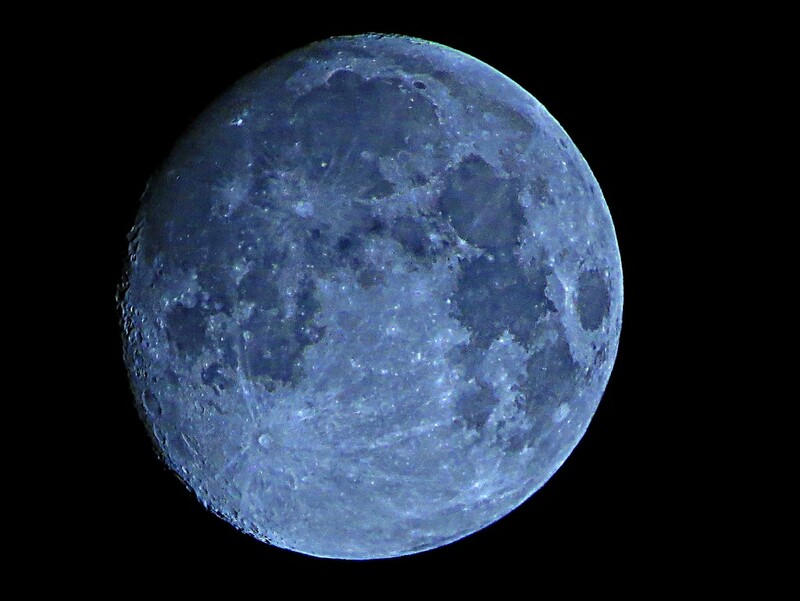 Instead of using the "daylight" setting on the camera, I set the lighting on "tungsten light" and got this blue effect on the surface of the moon. nice. Thanks for telling us how you did it. I actually saw the moon at 3 am but wasn't awake enough to take a moon shot. My special thanks to all of you and especially for all those generous favs! @gardenfolk The way the technology is going, I wouldn't be surprised if someday they will be able to. @joansmor When you have to wake up to stoke a wood stove, sometimes you just stay up! @peterday Ahhh- you know my photos so well!